ARLIS MOQ invites you to join us in an all-day design thinking for libraries workshop. 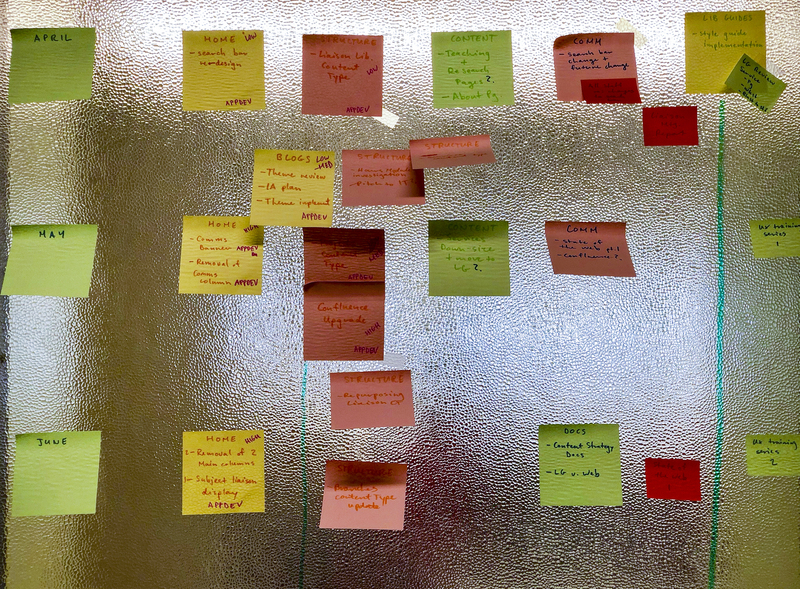 Design thinking takes an iterative approach to generating ideas in any problem space by using user research and low-cost brainstorming techniques. This approach can help to bring clarity to complex problems that change over time. It also keeps projects on track and user-centered by building consistent testing of ideas into the life cycle of a project, be it the development of a tool, a service, or an event. This workshop will introduce the concept of design thinking and identify ways in which it can bring actionable focus to broad or difficult problems. The day will be broken up into a mixture of both lecture and hands-on group exercises. Articulate what design thinking is and how it supports project workflows. Identify common design thinking strategies and what kinds of problems to use them for. Design a project plan that applies design thinking strategies. This workshop is appropriate for anyone interested in learning more about design thinking or how to practically apply the strategies to a project workflow. No prior knowledge is necessary. The workshop will be held in English but participants are encouraged to participate in the language of their choice.